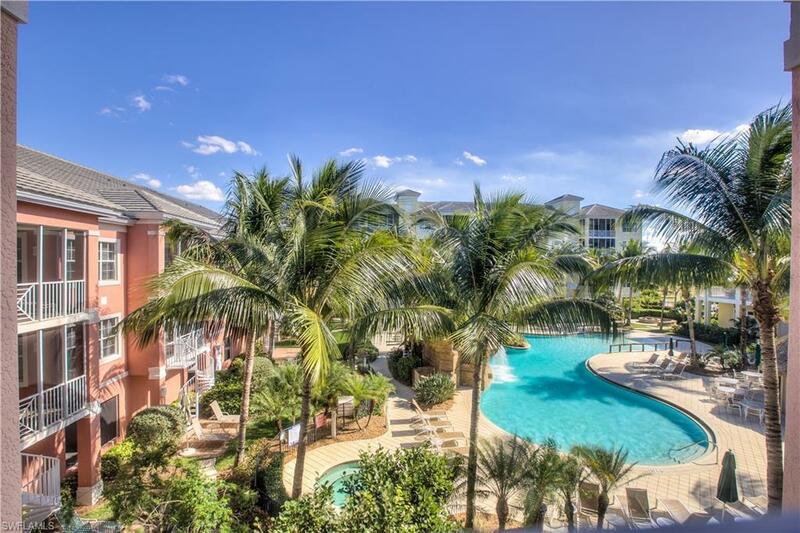 Experience one of the best Resort Pool views in Bonita Village! 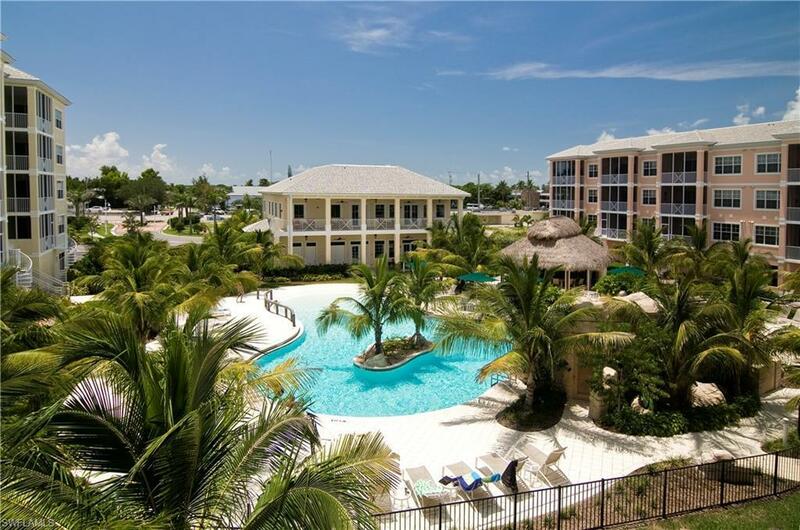 This exciting, family friendly community has a Beach Entry Pool plus a FREE Beach Shuttle! Your private driver will have your feet in the warm sands of Bonita Beach in approximately 180 seconds! 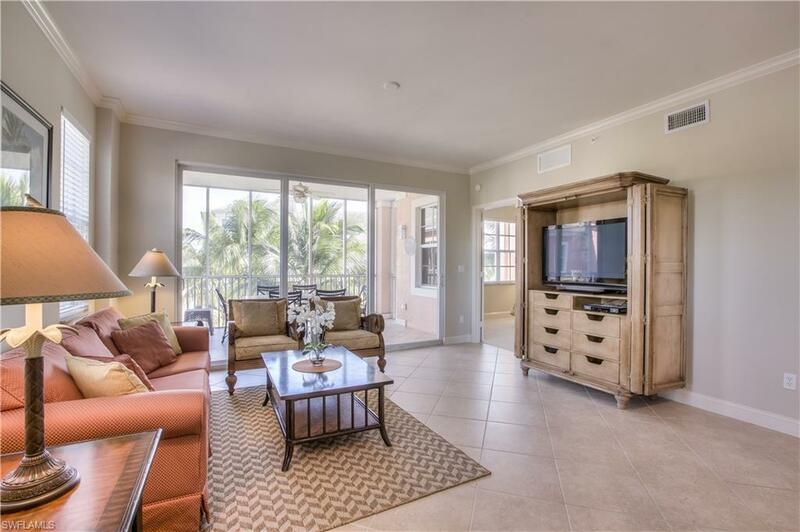 The spacious Lanai has plenty of seating and excellent views of the Clubhouse, Spa, Chickee Hut and Resort Pool! Additional amenities include an exceptional Fitness Center, a 2nd Quiet Pool, Billiards and Media Room. 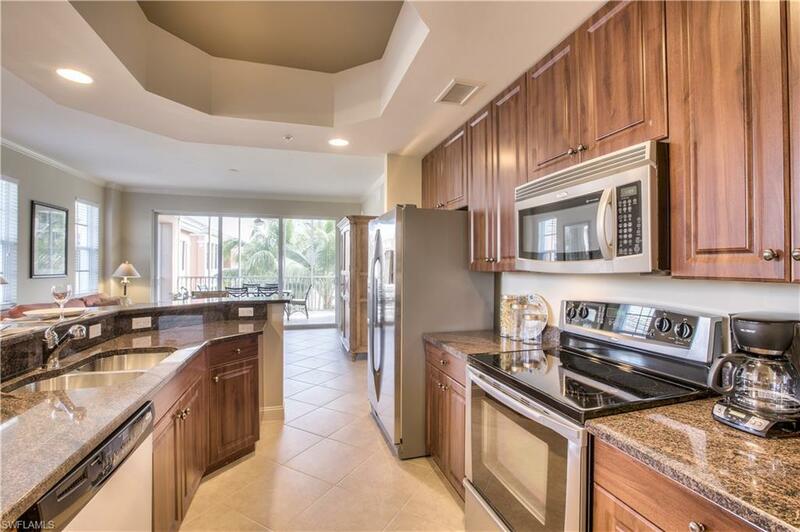 This Turnkey Furnished, end residence offers split bedrooms, lots of light and volume ceilings! With the unique courtyard entry, under-building parking, climate controlled storage and windstorm rated construction the livability is maximized during any season. See it today and learn why the New Bonita Village will soon be the hottest destination point in SW Florida! Call for Special Details!